In December 2014 the Hungarian company MVM Paks II Nuclear Power Plant Development Ltd. and the Russian enterprise Rusatom Service, a subsidiary of the State Corporation Rosatom, signed implementation agreements related to construction of nuclear power plants. This event is a real milestone. It has great importance for Serbia as well as other states of Central and Eastern Europe. The power units will remain the property of Hungary. Russian investments will amount to around 12.5 billion euros. Hungary signed a 10-billion-euro loan agreement with Russia for an upgrade of its nuclear plant in Paks. According to the document, Russia is to design, build and commission blocks 5 and 6 at Paks nuclear power plant (NPP). The Russian government granted a loan for construction, equipment supply, operation, maintenance and commission of the blocks. The loan is to be repaid over 21 years of operation – from 2014 to 2025. The following months the agreement remaineda major stumbling block in the bilateral relationship. Hungarian pro-Western political forces tying to impede the development of the relations between Budapest and Moscow did their best to stymie the nuclear cooperation between the two states. They were supported by the European Commission to making political gambling prevail over economic benefits and common sense. Instead of supporting the projects to enhance European energy security, Brussels is trying to push Russia away from the energy sector with maniacal persistence. It does not care about who could substitute Russia with its technology and resources. For instance, the European Commission had previously launched an investigation to look into the legality of Hungary's contract with Russia to construct units 5 and 6 of the Paks nuclear power plant. The European Atomic EnergyCommunity (EAEC or Euratom) and antitrust regulators looked into the corresponding documents signed by the two sides. They said the agreement was not open to public due to security concerns while the contract to build nuclear units was signed without tender. At that, the investigation failed to provide any evidence to prop up such affirmations. There is nothing to substitute Russian energy projects with. Russia can offer its experience and cheaper prices. It’s ready to sign long-term contracts unlike other competitors, including the United States, Germany and Italy. All these advantages were taken into consideration when the Russia-Hungary agreement was signed. According to the document, Rusatom Service is to supply Hungary with 24 guide vanes for MCP-317 (ГЦН-317) type main circulation pumps. 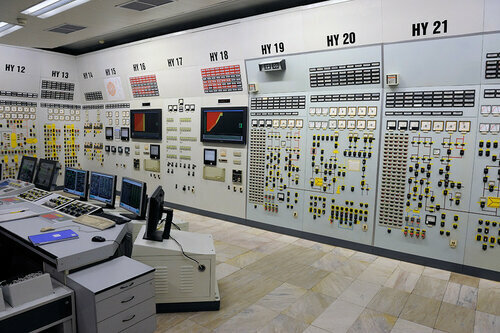 Paks is a Soviet design nuclear power plant. Its four VVER type reactors produce 2000 MW. Thus, in case of Hungary common sense and economic expediency appear to prevail. At that, the Hungary’s neighbors, like Slovakia, for instance, face the same problems related to national nuclear energy programs. Some time ago, Slovakian Prime MinisterRobert Fico visited the Mochovce nuclear power plant. The government plant's last two units are left unfinished waiting their turn to become up and running. The Prime Minister said Slovakia was waiting for «proposals» on finishing the job. According to Fico, the implementation of the project should be a priority for all. The construction work keeps on falling behind the schedule. This is the fault of Italian Enel, the largest Slovenske Elektrarne shareholder. Initially, it was planned to commission the third unit in late 2012 and the fourth in 2013. Bulgaria is another East European country risking to be up to its eyes in debt as a result of refusal to comply with the energy agreements concluded with Russia. 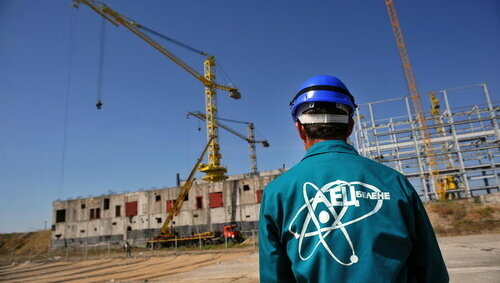 Sofia has suspended the nuclear plant construction at Belene. The decision was taken under US and European Commission pressure. Russia was to allocate funds for the implementation of the project. Moscow being a strategic investor was unacceptable for the West and ruling Bulgarian elite. As a result, Russia filed a lawsuitto the International Courtof Arbitrationin Geneva charging Bulgaria with non-compliance. If Russia wins, Bulgaria will have to pay a fine exceeding its annual GDP. The Bulgaria's government has recently decided to start the construction of a new reactor in Kozloduy after it gave up on the construction of what was supposed to be the country's second nuclear power plant in Belene. Even if a Russian reactor is chosen to implement the project, the loss will amount to one fourth of GDP. Time is running out. The European Union wants NPP Kozloduy to be scrapped by 2019. So far, the Bulgarian government has not been able to find a way out of this predicament. The same situation is faced by Serbia today. It is trying to eat the cake and have it. The government realizes it needs energy cooperation with Russia. At the same time, it does not want to irritate Brussels. As pressure continues to mount on the part of the United States and the European Union, the cabinet of Serbian Prime Minister Aleksandar Vucic increasingly often shelves the joint projects. This is confirmed by the fact of investigation launched into the 2008 energy agreement between Russia and Serbia (just like in other cases, it was all done in strict accordance with «initiatives» of European Commission). Economic interests, including energy sector, are incompatible with politicization and political speculations. Normally, those who take part in such games have to suffer losses and hold the responsibility before their voters.